When I was in high school and a season pass holder at Disneyland, I had a friend who traded Disney pins. I really didn't know much about it other than it was something she was excited about. Fast forward to having my own child and gearing up for our first visit to Walt Disney World. I came across a Disney Pin Trading Starter Kit and I knew it was something we'd enjoy doing together. It's quickly become one of my favorite Disney traditions with my son. Disney Pin Trading is for all ages but I think children really start to understand and enjoy the concept from around preschool age, and would recommend starting at 4 years old and up. I've received a ton of questions over the years about pin trading and thought I'd share everything I know here one place. 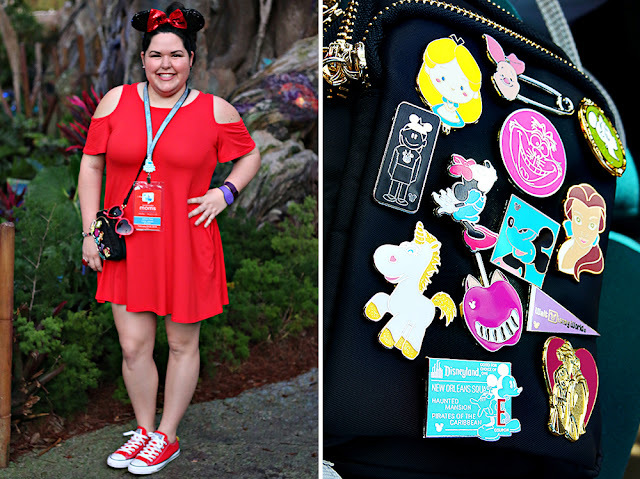 So, here goes—all my best tips for Disney Pin Trading for beginners. 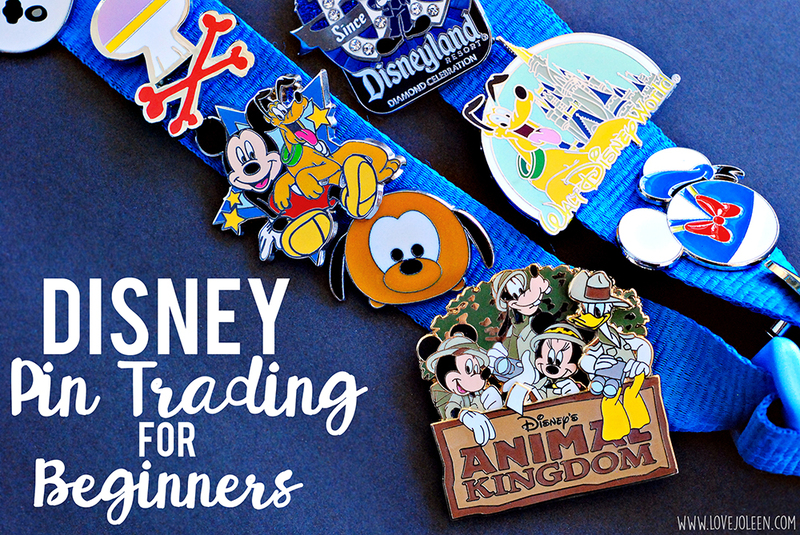 You really only need one pin to trade to get started, but of course you want more because you and your child will be hooked after that first time. Disney sells Pin Trading Starter Sets in a variety of designs, that include a lanyard, pins, and handy "rules" card. We purchased a Mickey Mouse Starter Set. For several pins to get you started, I would check out Ebay or Amazon. I purchased a Disney Pins trading lot on Amazon for much less than the pins would have cost individually. Just be sure to read the description and reviews well, and trade these pins at your own risk. 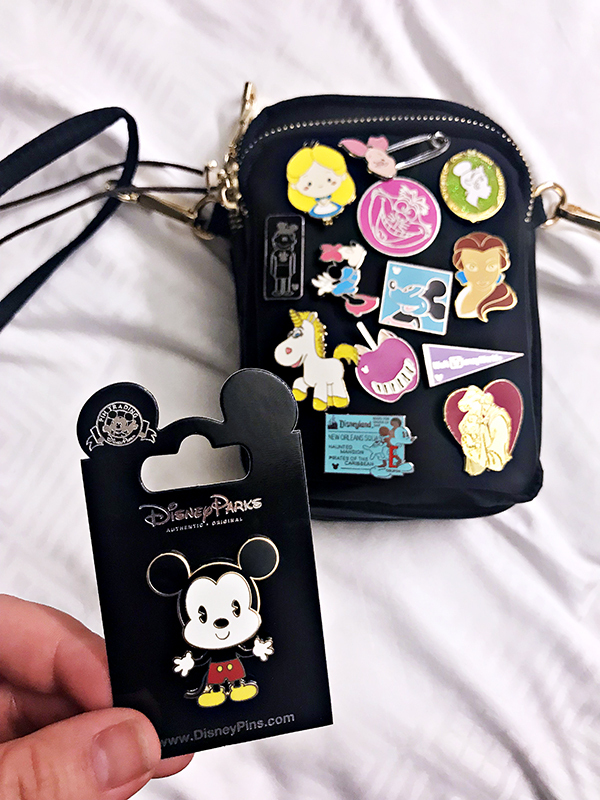 You can't trade fake "Disney" pins—and a quick Google search will give you lots of great articles on how to spot a fake. Pick up a variety of pin backs. DO NOT start collecting without locking backs! Seriously, this is my best tip. We lost several purchased pins using the backs that come with them and that's always really sad. Disney sells locking pin backs at all of their pin locations, which work really well. I highly recommend these locking pin backs and storage case. Since using these backs we haven't had any issues with pins falling off. They're semi-permanent but I haven't had any issues moving them as needed. 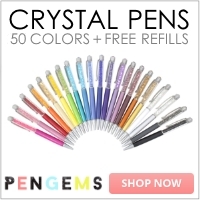 I used these to adhere all our "keep" pins on Benjamin's lanyard as well as my parks purse. For pins we wanted to trade, I use these pin backs. They hold the pins on a lot better than the original backs, but they're very easy to remove for trading. I use the case that came with the locking backs to hold all three styles. 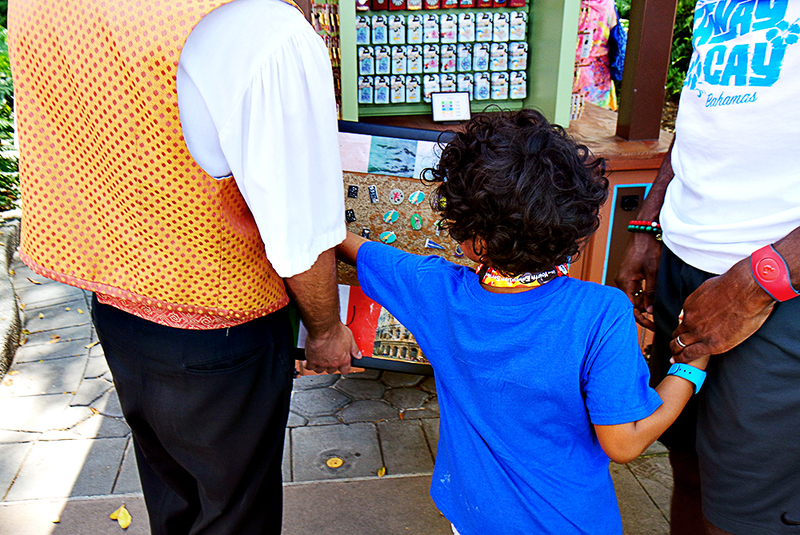 You'll likely need to give the Mickey back to the cast member upon trading, so it's good to keep those on hand. Have a plan. Trading is a lot of fun but you should definitely have a plan, especially with young kids. I keep Benjamin's trading pins separate from his keep pins so that he's not confused in the moment. At this age, Benjamin usually just trades for a pin that looks good to him in the moment. Some pin traders have a plan as to the type of pins they're looking for. For example, my husband likes to trade for the Vinylmation Mickey pins. Benjamin is always looking for pins from the Sugar Skull and Crossbones Booster pin set. I just like pretty things. *wink* We all love Hidden Mickey pins, which are annual limited edition pin sets created specifically for cast members to trade. They have a tiny Mickey icon on them and the back stamp says "Hidden Mickey pin". We have several that we love! This adorable Mickey pin was lost during our last WDW trip so I was thrilled to find it again! I was sure to use a locking back this time!! We don't trade with every single cast member we see with pins or we'd be stopping all day long. At this age it's more guided by me than him, so occasionally I'll pull them out and ask Benjamin if he's interested in trading. Pin trading has provided a great opportunity for him to come out of his shell a little more and to use his best manners with strangers. We have to approach the cast member and kindly inquire about trading, then Benjamin looks to see if they even have a pin he's interested in. They're always really great about letting him trade whatever he wants. To spot cast members who are trading, look for a black cross body purse with pins on it or a board near the cash wrap. I mentioned the lanyard that comes with the Pin Trading Starter Sets. You can also purchase them individually at nearly every Disney park or resort gift store, as well as shopDisney online. We recently visiting Walt Disney World for the Disney Social Media Moms Celebration and beforehand I ordered this small nylon crossbody purse. It was the PERFECT purse for a day at the park. First of all, it's just the right size. It's not too big or heavy, but had 3 decent sized sections for everything I needed. This included my phone, external battery and cord, wallet and makeup. I chose nylon material specifically so that I could display my Disney pins on it, and it was perfect!! I received so many compliments and it was a fun way to display my favorite pins. I used the locking pins I mentioned above and didn't have any issues with pins falling off when my purse was bumped. This purse was super inexpensive and comes in several colors. For something a little more Disney-inspired, check out these adorable bags on Etsy! Love! We've now reached the point in which we have quite the collection and don't necessarily want to bring all of our pins to the park. 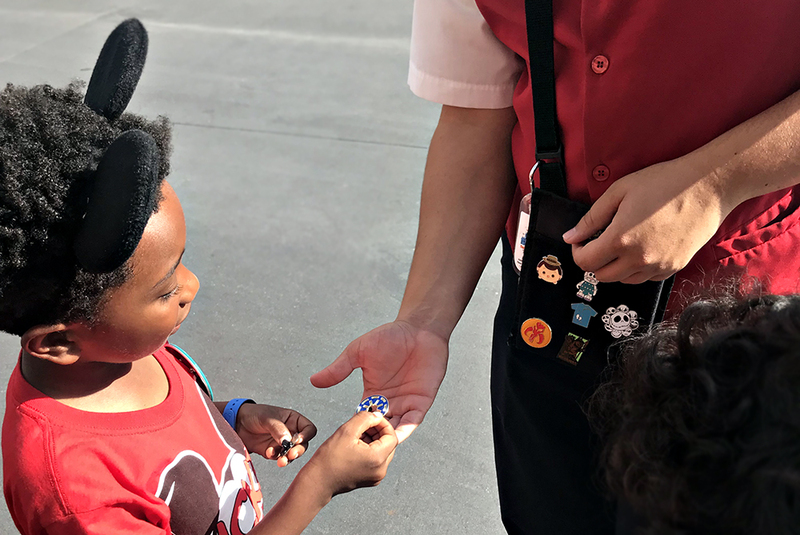 We purchase souvenir pins for every new Disney experience—whether it's a new park we're visiting, the Disney Cruise Line, resort, or special event. We also like to purchase our favorite Disney character pins. Disney pins can cost anywhere from $9.99 individually to $199.95 for a Limited Signature Pin Set. You can also purchase themed surprise bags and boxes. I'm going to put together a board to display in Benjamin's room soon. I'll share here when it's ready. Disney Pin Trading is really a fun hobby and collection to have! For more about pin trading events and new pins, check out the Disney Parks Blog! There is also a great new podcast about Disney Pin Trading on Traveling Dad—have a listen! Here are more tips for visiting Walt Disney World with a Preschooler.